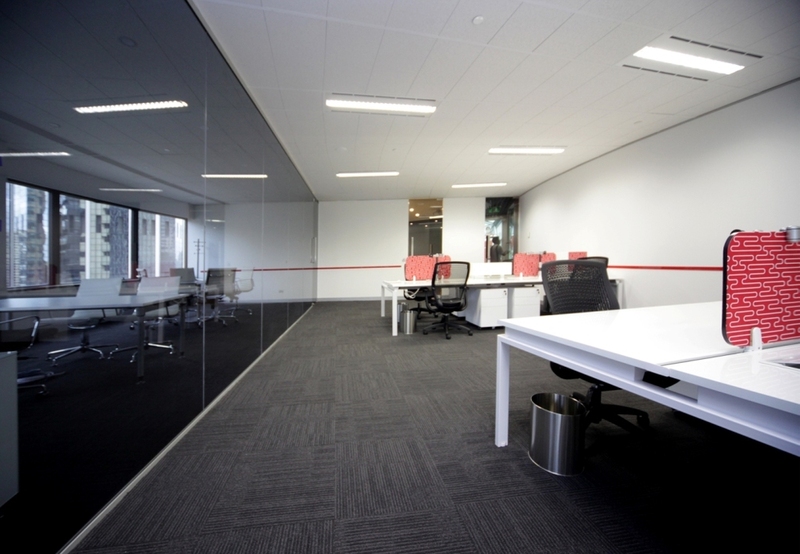 A bold and sophisticated furniture solution was created for the new Ferrari Office in Sydney. 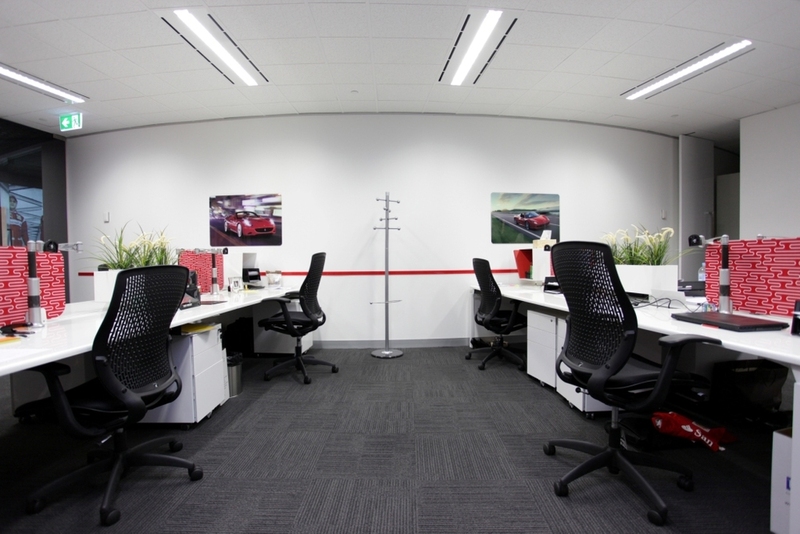 To furnish their new workspace, Ferrari was in pursuit of furniture that would compliment their branding with regard to both quality and aesthetics. In order to achieve that look and feel, Designers at OMG Projects specified ourBenchwork Workstations with the Trak System, Globe mobile pedestals, Conti Meeting tables and our Web and Sax seating. 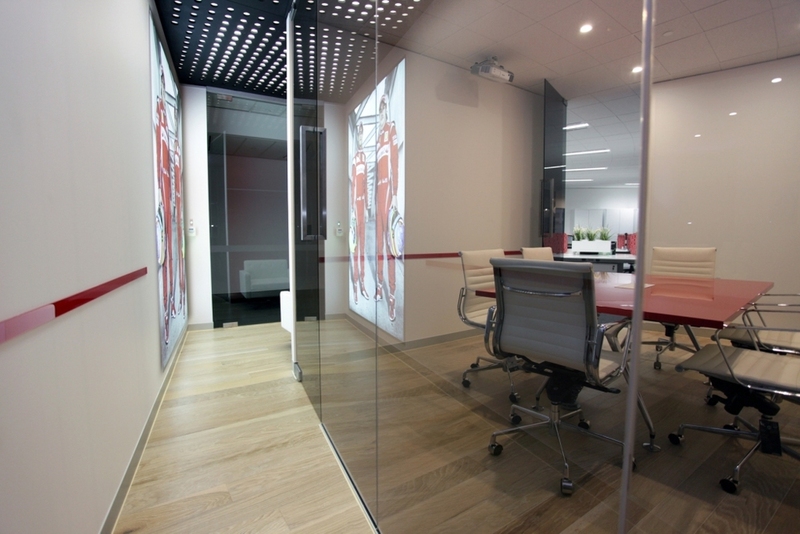 We used a custom Red Polyurethane top for the Conti Meeting Table and Red and White Woven Image Echo Panel screens on the Trak Workstations. Our Black and White Web and Sax chairs also looked the part, fitting in perfectly with the colour palette.